The KRU Championship enters penultimate round on Saturday April 7, 2018 with all 12 teams returning to action after taking the Easter weekend break. JKUAT Cougars have already been relegated back to the Central nationwide league as they head to the match day rocking bottom with 6 points. They play Egerton Wasps who are eighth and can qualify for playoffs by winning their last two matches and other results go their way. With only two matches to go, JKUAT can only earn 10 maximum points which would put them to 16, three behind 11th placed Ngong RFC. Ngong RFC will hoping to secure a playoff slot when they visit Menengai Oilers while Moi University look to cement a place above the direct relegation position by visiting Mean Machine. Machine and Oilers however are seeking home semis on their side. South Coast Pirates, who are ninth, host fourth placed Kisumu RFC as UoE host Catholic Monks in what will be 7th vs 6th, battle for a playoff spot. 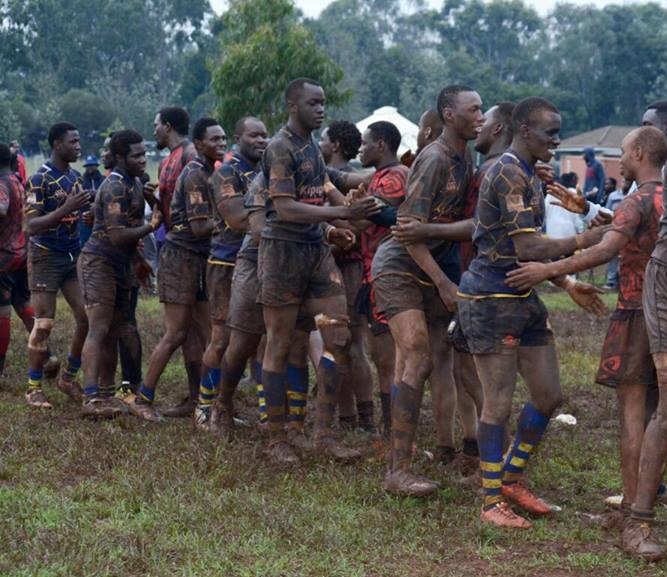 USIU, who have lost two matches in a row, host third placed Western Bulls. USIU is not yet assured of a playoff place and their next week's fixture being against Kisumu RFC, every point is important foe the Dennis Mwanja coached side. Going to the match day, Menengai Oilers are on top with 63 points as Machine follow 59. Bulls are third with 47. Raga House understands all teams are required to have played 14 matches by now and those that have not played will be counted as walkovers.